WRF is configured with basin, regional and local computational domains with horizontal resolutions of 30 10 km and 3 km, respectively. A pressure-defined sigma-coordinate transformation is used in the vertical. A total of 31 sigma-levels were specified for all three domains, and the thickness of each layer depends on the reference-state pressure, finer in the surface boundary layer than in the upper atmosphere. The thickness of the surface layer is 20 m. WRF is driven by the North American Meso-scale (NAM) weather model. The regional and local domains were run simultaneously through “two-way interaction.” Two-way interaction is a nesting method in which the input from the coarse mesh is included via boundaries, and feedback to the coarse mesh covers the entire nested interior. WRF provides a 3-day forecast of winds, air temperature, air humidity, air pressure, sea surface heat flux, and evaporation via precipitation. 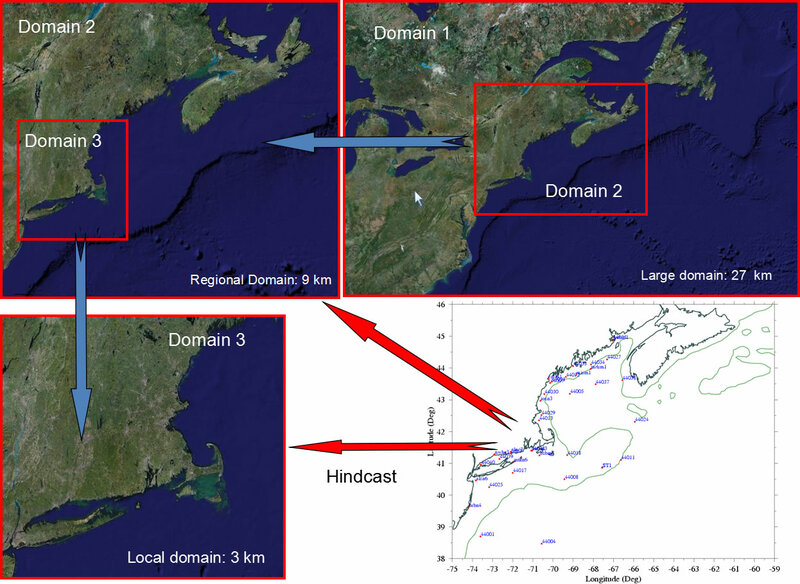 A hindcast is run daily with a four-dimensional nudging data assimilation method to update the initial condition when meteorological measurements on buoys are available. 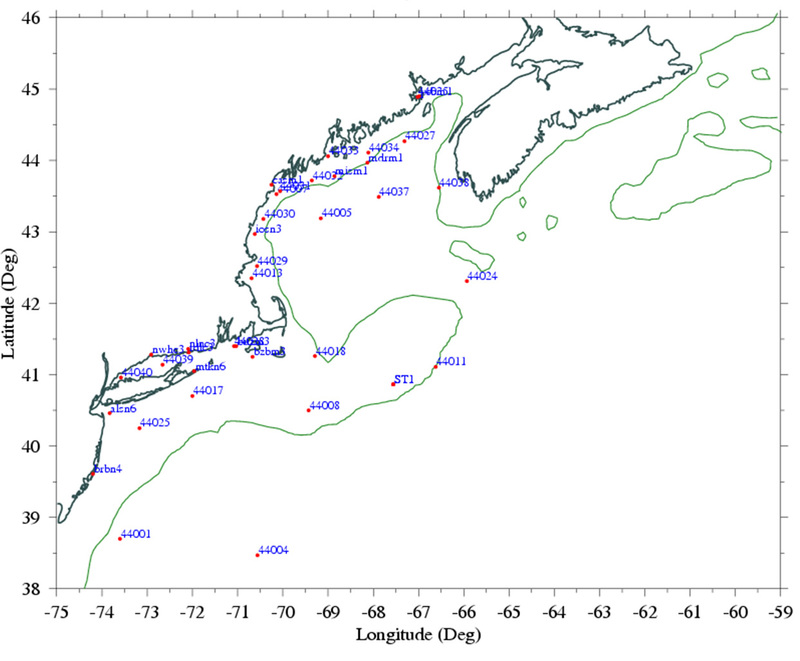 A total of 33 surface buoys are included in the data assimilation and locations o these buoys are marked by red dots in the image.